Greenhouse Grand Reopening event May 10 & 11! Since 1970 Learning Prep School has earned a reputation for providing an educational program and a safe and supportive learning environment for students with language processing and attendant learning challenges as their primary disability. Complex learning profiles of our students may include dyslexia, expressive/receptive language issues, autism spectrum disorder, anxiety, limited social pragmatics and executive functioning challenges. In the spring of 1982, our campus greenhouse was constructed and the horticulture program soon became one of the signature programs at Learning Prep School. 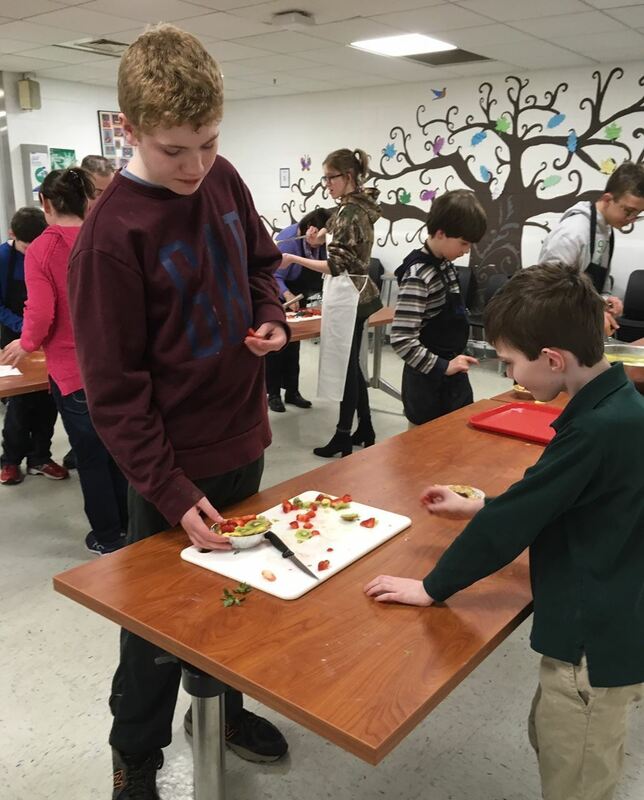 During the summer of 2018, as a result of a generous grant from Price Waterhouse Foundation, an extensive renovation of the greenhouse facility was completed in time for opening of the 2018-2019 School Year. Horticultural students have been working with staff members in the greenhouse and surrounding gardens planting flowers, herbs, vegetables, and houseplants, as well as learning essential information attendant with operating a business. On Friday, May 10th at 2:00 pm we will be celebrating the reopening of the facility and the program. There will be light refreshments for our guests, music, and will be an excellent opportunity to select a Mother’s Day Gift. The greenhouse will also be open on Saturday, May 11th from 8:00am-1:00pm, providing everyone with an opportunity to view the facility, learn about the program, and to purchase plants for Mom and anyone who enjoys gardening. For those looking to preview the sale, a pre-order form will be sent out soon- keep your eyes peeled! If you have any questions about the LPS Greenhouse Isabella Chiaravallotti in Horticulture at ichiarvallotti@learningprep.org. If you have any questions about the LPS Greenhouse Grand Opening, you may contact Alex Magay, Director of Development at amagay@learningprep.org. 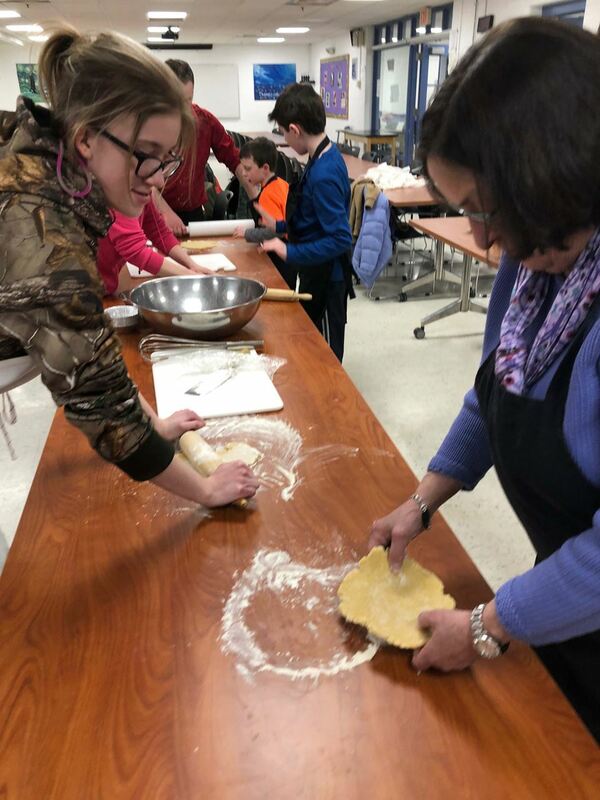 On Wednesday, March 13th, students and their families participated in a Family Baking Night, learning how to make fruit tarts and enjoying their delicious creations. It was a great success and a lot of fun! Stay tuned for future Family fun events! Founder and CEO of Magellan Jets, Joshua Hebert, is an LPS alumnus who attended LPS in the early 1990's. Joshua came to speak to this year's graduating class earlier this week to speak about successful career advice, making a good first impression, work ethic and pursuing their dreams! The Transition department hosted another successful Financial Literacy Fair for the LPS juniors and seniors on Friday, February 8. Students learned from experts from PwC, Village Bank and Berkshire Hathaway Home Services of Boston how to budget for saving, investing, housing, nutrition, clothing, credit and lending, taxes, insurance, education, transportation and luxury items. 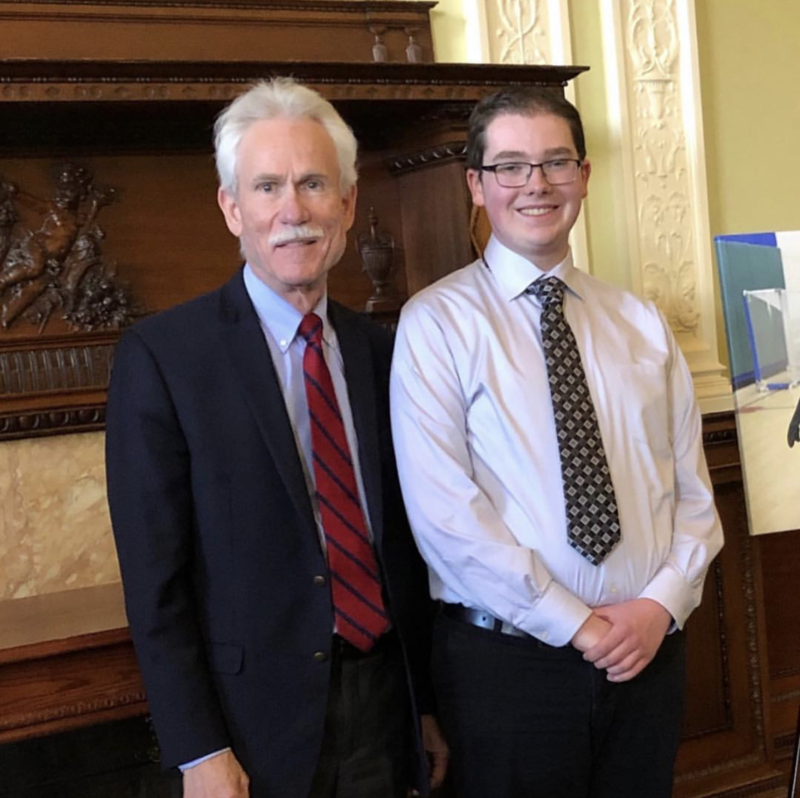 On February 6th, students of Chapter 766 schools were invited to the Massachusetts State House to speak about their experiences to state lawmakers with the goal of cultivating support for Chapter 766 schools. Reprensening LPS, was Jake O'Neil, Class of 2019 who did an amazing job sharing his perspective and wowing state representatives with his professionalism. You can watch Jake's 5 minute speech here. Great job, Jake! On the week of January 21st, the Elementary and Middle School GSA sponsored “No Name Calling Week”! No Name-Calling Week is a week organized by K-12 educators and students to end name-calling and bullying in schools. Students celebrated the week by taking the “No Name Calling” pledge in Health and Student Issues classes. They also discussed empathy, kindness, and being an “up-stander” in both Health and Performing Arts classes. Daily "Kindness Challenges" for students to participate in, as well. No Name Calling Week was a great success and students enjoyed the week dedicated to promoting a safe school environment for all! The LPS Winter Alumni Event was a huge success! 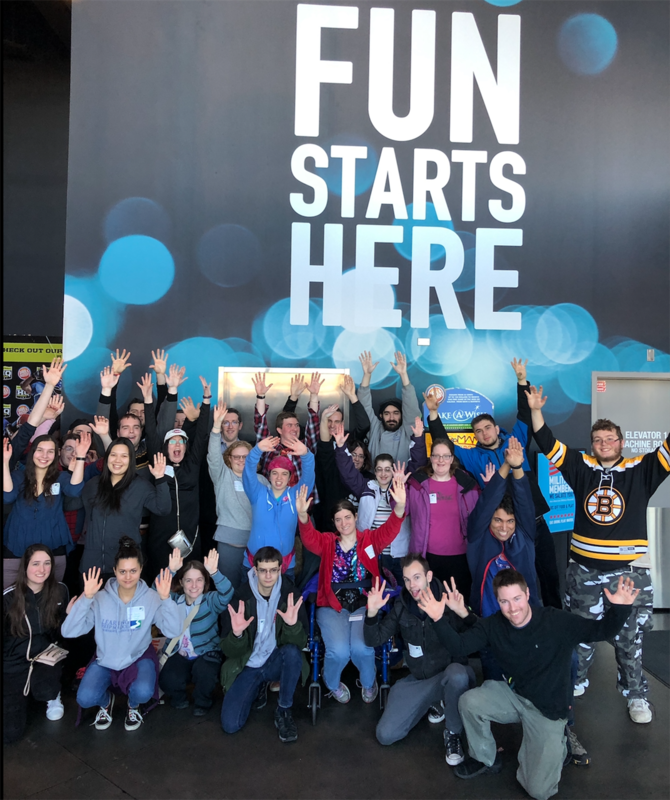 Over 40 alumni gathered at David & Buster's in Woburn, MA to reconnect with former classmates and friends while enjoying an afternoon of gaming, food, and fun! Make sure you attend the next LPS Alumni Event, stay tuned for details. Boston Herald contest winner announced! 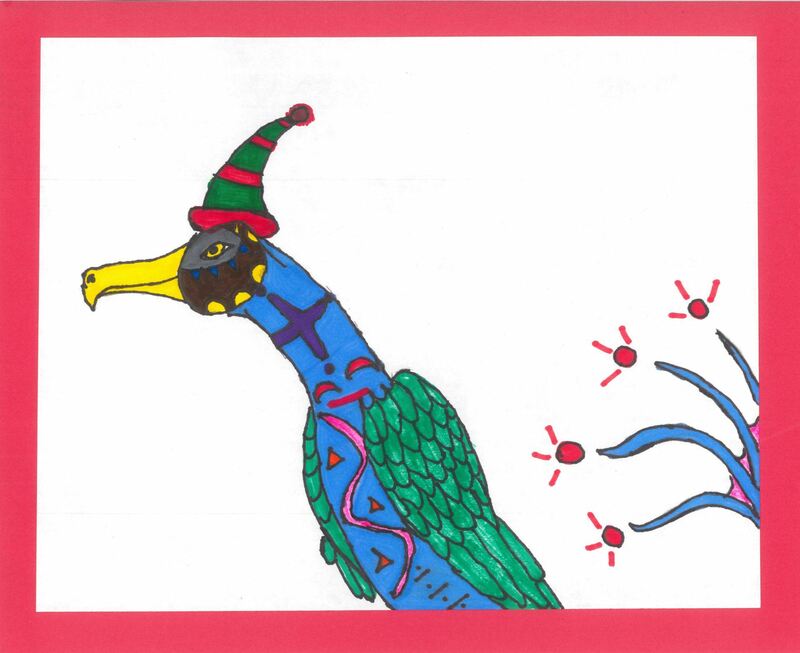 We are excited to announce that Molly Perlmutter, a High School junior, had her artwork published in the annual holiday edition of the Boston Herald newspaper! Her drawing of an albatross was both colorful and very unique. LPS had over 25 students enter some amazing artwork in this contest. Thanks to all who participated, and congratulations to Molly! Shop with Amazon to raise money for LPS! Choose "Little Peoples School" on AmazonSmile to benefit LPS!! With the holiday season upon us we wanted to share some information about AmazonSmile - a website operated by Amazon that has the same products as their regular website. When you purchase on AmazonSmile, .5% of your purchase goes to your favorite non-profit. That may not seem like much, but it can add up when an entire community like Learning Prep School takes advantage of the offer. All you need to do is save AmazonSmile in your menu bar and add your non-profit of choice.